It’s a bit odd, don’t you think, that our daily lives as adults are tightly interwoven with the reality of money, and yet the majority of us are never taught how to work with it—much less have a conscious relationship with it? No, it’s more than a bit odd. It’s crazy – as crazy as it would be to do away with driver’s training requirements. Imagine if our parents simply bought us a car at age 16, handed us the keys, and said, “Hop in and just figure it out as you go.” Though it is often unspoken, we unfortunately get this same message with respect to money. That, to me, is insane; and because collective insanity on a widespread scale undermines our true potential as humans, I felt a pull from deep within my heart to do something about our relationship with money. The path of Conscious Bookkeeping has been intentionally and carefully designed to lead people into challenges at the edge of their comfort zone—the kind of challenges that can lead to profound transformation. This transformation often results in five valuable gifts within people’s experience of life: They walk away with more clarity, intimacy, knowledge, ease, and success. The Three Gateways The process of initiation into conscious relationship with money begins by passing through three gateways: financial therapy, values-based bookkeeping, and life visioning. It doesn’t matter which gateway a person enters through first, as each of them lead naturally into the others. The three gateways are interrelated in such a way that each supports the others in a dynamic, symbiotic process. Financial Therapy Many people have done some form of inner healing work, be it psychotherapy, coaching, or individual self-inquiry. Often, however, even people who have done significant self-exploration have never directly faced their relationship with money. In a sense, they have never shared their money story. Because money plays such a key role in day-to-day living, it is often closely entangled with our core psychological issues, challenges, and wounds. To free ourselves of constraints in relation to money, then, is to seek healing for these core wounds in our psyche. And to heal these core wounds, we must inquire into their nature with gentle courage. At the gateway of financial therapy, our challenges, frustrations, fears, and joys around money are like a red tab on the wrapper of a gift package within our mind. When we pull the tab, the packaging unravels to reveal what lies within: the real issues beneath our surface emotions around money. When we see what’s really driving our frustrations, fears, and struggles with money, however, it certainly doesn’t look like a gift. In fact, it looks more like an old, black, tangled ball of psychological yuck. For most of us, it isn’t until we have gone through the process of psychological and emotional healing that we can see the reward. It can be challenging work, this process—but then, most initiations involve inherent challenge. In the end, we come out with skills that allow us to begin polishing up not only the yucky mess of our limitations around money, but other recurring tangles, as well. This is because the way we relate with money is often the way we relate with most everything in life. If you heal your relationship with money, you will very likely heal other parts of your life, also. This process of bringing awareness and understanding to our inner relationship with money is the central focus of the gateway of financial therapy. It begins with inquiring into your past experiences with money, starting with what you learned from your parents and grandparents. For example, when you look back on your memories of when your mom or dad paid bills, do you remember them as being calm, joyful, and happy, or stressed out, frustrated, or even angry? Oftentimes, the most powerful lessons about money are taught through behavior and emotion, rather than words. These unspoken, often unconscious lessons then guide us in how we earn, spend, save, borrow, and invest money. And because they are unconsciously delivered, integrated, and put into action in our own lives, they are also unconsciously passed along to our intimate partners, children, friends, and co-workers. Financial therapy is one way to end this perpetual cycle of unconsciousness around money. Values-Based Bookkeeping There is a myth out there that bookkeeping and accounting are dry and boring, but this is far from true! Bookkeeping is actually a fun and very dynamic system. You just have to use it in a way that makes it more enjoyable. The first step in passing through the gateway of creating a values-based bookkeeping system is learning the language of accounting. This important step can empower anyone and everyone who ever believed that they were incapable, that it wasn’t creative, or even simply that they should already know this stuff but for one reason or another hadn’t yet learned it. And all it requires is a willingness to come face to face with things you may have heard of in passing, but avoided learning anything about. When most people hear the word “budget,” the feeling that arises in their body is one of constriction. I don’t know many people who love the word budget so much that they find themselves running home to do one. The resistance most of us feel is directly related to the unconscious lessons we learned about what budgeting is: scrimping, clamping down, and generally holding tightly onto our money while we let small, precise amounts of it squeeze out into predefined categories such as rent, utilities, credit card bills, entertainment, and so on. The word budget, and the concept it traditionally represents, tends to induce an often-unnoticed attitude of fear and constriction. We can, however, take another perspective on budgeting. We can look more deeply into this aspect of bookkeeping and ask, “What’s really going on here?” What we find is that—though most people don’t use it consciously in this way—a budget is a tool designed to help us align our spending patterns with our intention. The second thing we notice about budgeting is that it tries to help us map out a future plan for spending patterns that are supposed to be an expression of our intentions. From this perspective, we can see that budgeting involves a map and some intentions. So why don’t we call it a “Map of Intention”? Much better, yes? Creating a Map of Intention is more than just assigning a new name to an existing model. It is a new approach to planning how we’ll spend our money in the future—an approach that is based not in fear and constriction, but in excitement and joy. Through this process, we discover where our values are being met and expressed— or unmet and unexpressed—through both our spending and making of money. We begin by looking deeply inside and coming up with a list of all of the things that feel important to us. This can include anything that we feel is of value, such as keeping our body healthy by eating organic food and practicing yoga, donating money to a nonprofit, or going on a meditation retreat once a year. The list of values is then compared with the categories in our Map of Intention. We see immediately if all of our values are being represented in the Map, and if not, we can add categories or rename ones that are already there. For example, when one of our clients was going through this process, she asked herself: “Okay, Rent, what is that really? Rent feels like a bag of bricks tied around each of my feet. What is that money really providing me? Home…safety...love shack…a sanctuary. Ahh, much better. I’ll call this category Sanctuary.” For her, the word “sanctuary” reminds her of the deeper meaning of what that money brings her each month: a feeling of home, of safety. She realized the value in having a home that is a safe sanctuary, and that value is now expressed in her Map of Intention. The rent check became a sanctuary check. The value-expressing categories that are created in the Map of Intention then appear across the board in all of the other reports and financial statements. In this way, the path of Conscious Bookkeeping leads us to create an entire bookkeeping system based on our values. The first time people see what were once boring, dry financial reports now filled with their personally meaningful categories, they feel unexpectedly excited. This system supports us in living true to our own highest vision for our life—but it can’t work unless we use it, and use it often, which is why we invite everyone to engage with this type of bookkeeping every few days, or at least once a week. Making this into a practice involves continually cycling through a number of simple stages that turn this into a working, dynamic, life-giving system that generates frequent financial feedback. This is what the practice looks like: When we go out into the world and purchase things, we put the receipts in a little accoutrement, or wallet, or bring them home and file them in a special box. 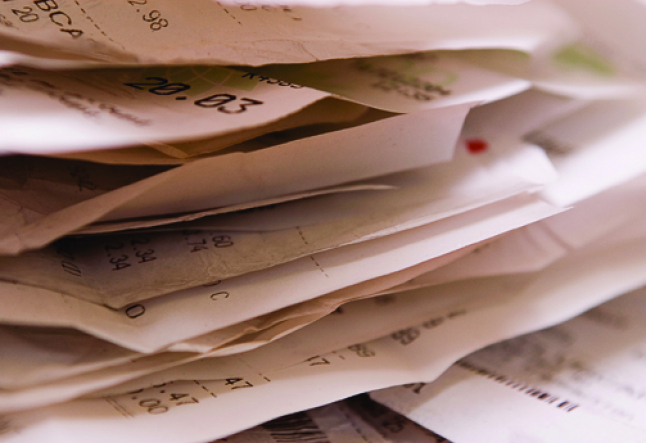 Then, every few days we enter the receipts into our Quicken or QuickBooks register. Afterward, the receipts are stored in folders that have the same names as the expense categories in our Map of Intention. This process is repeated often so that it becomes a habitual practice. When we get our bank statement each month, we reconcile the statement, print out reports, and look through them to see how well our spending behavior matches up with our Map of Intention. This is essentially a check-in process to see how well we’re doing in terms of spending our money in ways that express our values. Along the way, different people will tend to “fall asleep” at different steps. Some people check out at the grocery store and don’t bring home receipts. Others fall asleep when they get to the step of printing out the reports because they’re terrified to see the reality of their spending patterns. Whenever we lose awareness of what we’re doing in relationship to our money, we have an opportunity to begin the process of self-inquiry into the underlying thoughts and feelings. If we’re having strong feelings around seeing our reports, for example, we place our attention on the sensations and feelings that arise in our body, seeking to gain insight into what may lie beneath them, or what their true nature really is. 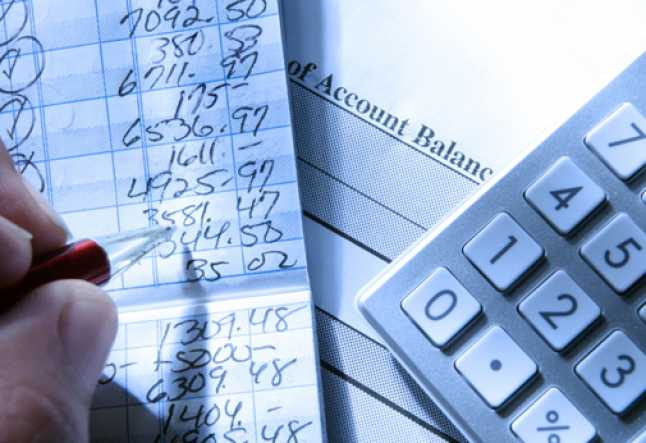 Sometimes people feel resistance when they imagine bookkeeping as a regular, ongoing practice. When this comes up, I ask them to imagine what they would feel like if they didn’t exercise every couple of days, but waited, instead, to do the entire month’s worth of exercise all in one day, or if they waited until the end of the month to do a whole 30 days’ worth of brushing their teeth. The consensus is always that they wouldn’t feel very good at all. Unfortunately, many people wait until the end of the month to take care of all their financial business, such as gathering receipts, entering them into their register, and reconciling. Others don’t even do that, choosing to wait for several months, or even an entire year, letting all of this bookkeeping work build up as they go about their lives in a state of financial unconsciousness. Often, people who initially have some resistance to making bookkeeping into a regular practice end up telling us that, while it took a little time for them to adjust, the process soon started to be fun. They find themselves continuing with the system out of their own natural desire. Life Visioning Why are you here on this planet? What is the real purpose of your life? What burns in your heart with a passionate glow? What things must your soul absolutely do before facing the inevitable reality of death? These are big questions, which we humans have been asking ourselves for tens of thousands of years. This is why they are a foundation to the initiation process of the Conscious Bookkeeping path. In fact, the ultimate goal of this practice is to discover and live true to the answers to these questions. Each of the elements of Conscious Bookkeeping is intended to help us create a life in which the dream answers to these questions become the lived experience of our day-to-day life. So, why the “conscious” in Conscious Bookkeeping? Simply put, each aspect of the path is intended to help us raise our level of consciousness in relationship to money, so that we can use the positive power of money to realize our highest aspirations. And when we raise our level of consciousness in relationship to money, it is almost inevitable that we will naturally become more conscious and awake in relationship to other aspects of reality. To me, that’s another way of saying, “Be fully conscious and awake in relationship to all aspects of reality.” Conscious Bookkeeping helps us to begin that process by initiating us into conscious relationship to money. Like any good initiation, this process can be both challenging and rewarding. We are brought face to face with our shadows around money, and in the end emerge into greater clarity, intimacy, knowledge, ease, and success. Through this financial rite of passage, we can begin to relate to all of life with the same kind of awareness.